When treating pediatric prosthetic patients, working with the family ensures patient success. Colin needed to be fit for his first prosthesis. His long-term treatment plan was developed with his team of caregivers and his mom. Colin was treated by George Villarruel, one of our pediatric and upper extremity prosthetic specialist practitioners. He customized the prosthesis and educated Colin and his mom over a period of about a year during treatment. Colin’s Mom was with him every step of the way and she deserves a lot of credit for her positive outlook and supportive encouragement. Over the many visits and with a lot of hard work, Colin is now successfully doing more activities with his new arm prosthesis and is not letting anything hold him back. Colin is ecstatic to be riding his bike! 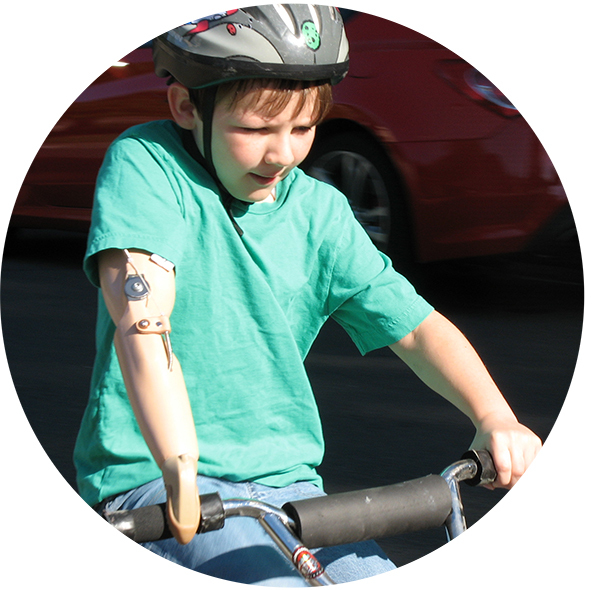 With the support of his family, and a prosthetic device from Collier O and P, Colin is ready to tackle his next goal. Our lead prosthetist spent many years with Shriners Hospitals for Children. 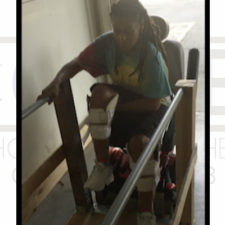 The volume of patients seen in this inpatient setting established him as a specialist in upper and lower extremity prosthetic care for children and their growing needs. Our philosophy is that we want to treat the family first, and then the patient will have the understanding and guidance they need to be self-reliant. Collier Orthotics and Prosthetics has offices in Sacramento and the Bay Area Region. 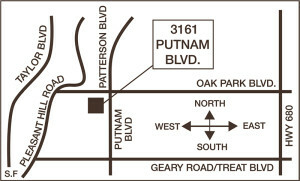 Please call 916-979-9729 and we can answer your questions and set an appointment at the location most convenient for you. When Collier fits a patient with an OA knee brace, their goal is to provide pain relief so you can get back to your daily living…with less pain. 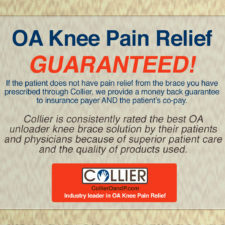 Collier offers OA Knee braces with a Money Back Guarantee to Insurance Payer and for Patients Co-Pay. 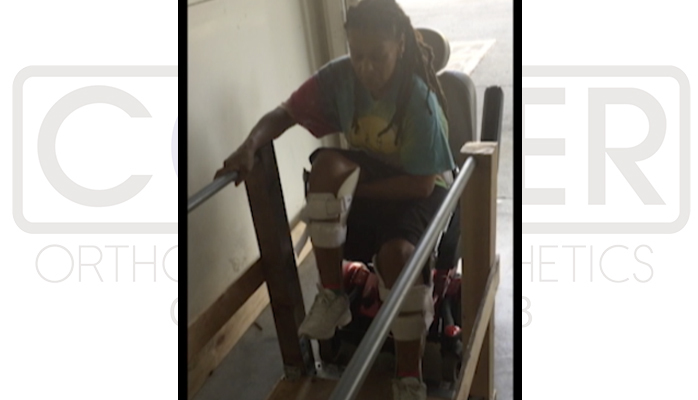 Collier is consistently rated the best OA knee brace unloader solution by their patients and physicians because of superior patient care and quality of the products used. 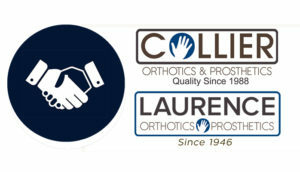 Please refer your patient to Collier Orthotics and Prosthetics. You can hear what one patient has to say now that he has his new unloader brace from Collier. For responsive service and patient care, contact Michael Todd at (916) 919-5726.